Nairobi county government has defended the hiring of 26 security officers as part of Governor Evans Kidero’s detail. County secretary Gregory Mwakanongo who appeared before the county assembly Public Accounts Committee yesterday, said the hiring was done by his predecessor Lilian Ndegwa and all protocol was followed. The officer Officers from Auditor General’s department opposed the hiring saying that the appointments were done irregularly and recommended they be revoked. 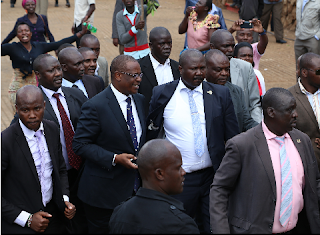 Although Mwakanongo did not specify whether the security staff were seconded to the Inspectorate department or whether or not they will be specifically assigned to Kidero.